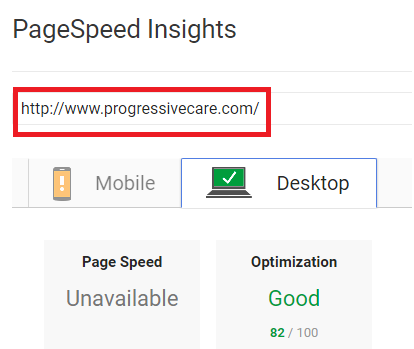 Have you ever wondered how Progressive’s Google rankings compare to Clear Path, Serenity, Rivercross, Compassion, and Sunflower hospice? Let’s break it down. The following keywords altogether get thousands of searches each month from users right here in Wichita. The ‘Avg. position’ column in the below chart shows where Progressive and other popular hospice facilities rank on Google on average. For example, Progressive ranks much better for some keywords and worse for others, but if you average out how well the below hospice facilities rank for all these keywords, you see how you compare. 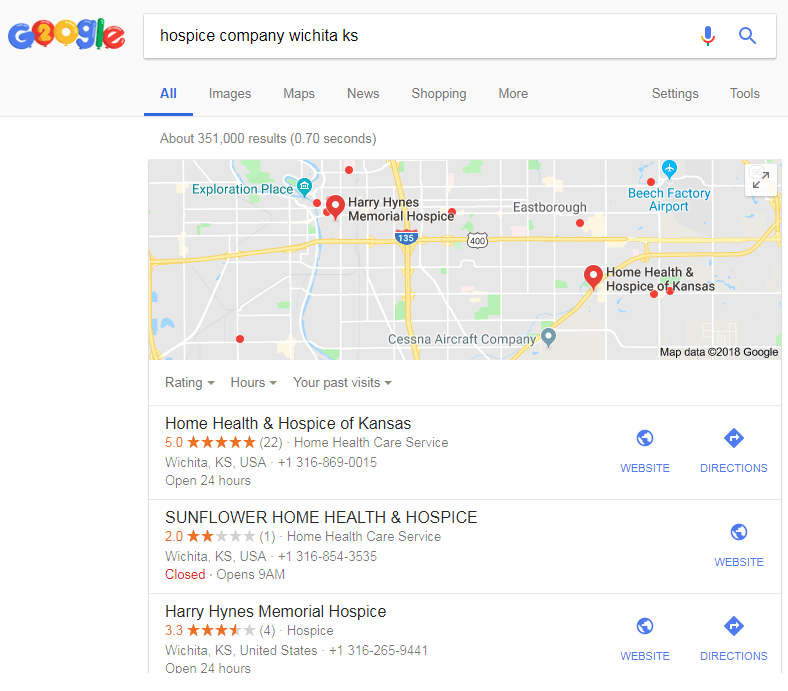 The local hospices all have low visibility largely because their websites are thin (not much content) and don’t have a great deal of online authority built up which is allowing the bigger facilities to push the local companies down the page of search results. As I’m sure you know, Google’s spoils largely go to the sites at the very top of the first page. They’re the ones getting all the traffic. This guide will break down exactly HOW to get you there! We are going to touch on 9 CRITICAL areas and how you stack up in each of them. Of course, when it comes to having a clear, strong presence on the web, the first place to start is how your profile looks on Google. When somebody finds Progressive Home Health & Hospice on Google, the red box below is often the “face” of your business. In absence of any photos, an image of the building’s exterior is the only photo that appears on your Google profile. 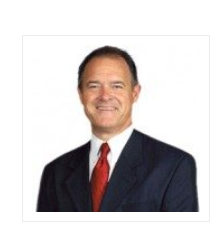 With your long history in Wichita, I am sure we could be doing a better job of capturing WHY people should be giving Progressive Home Health & Hospice their business! 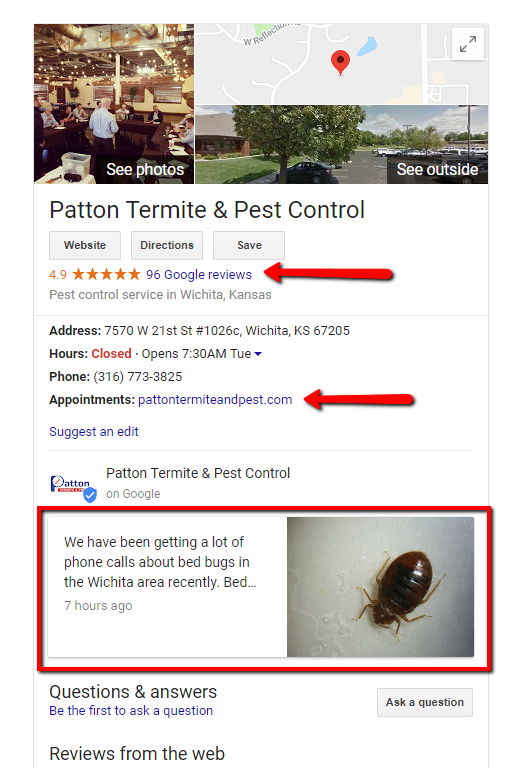 105 photos really help to show off their history, their connection to Wichita, and their BIG team of people who all have a great deal of experience killing pests! 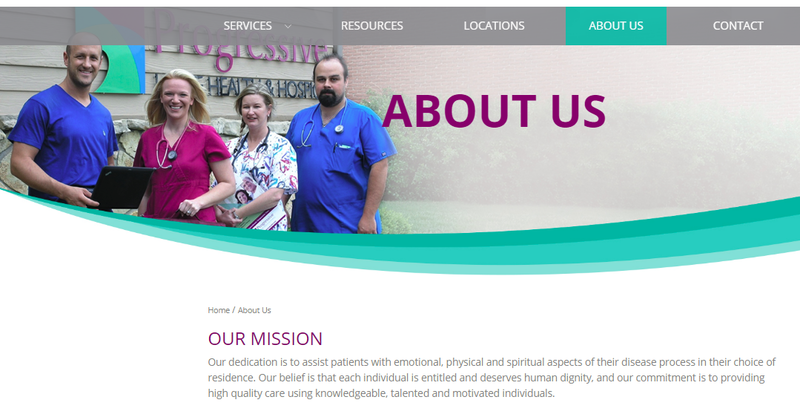 I must admit that after spending hours on hospice websites, the Progressive one has a LOT going for it! Smiling photos of real people! 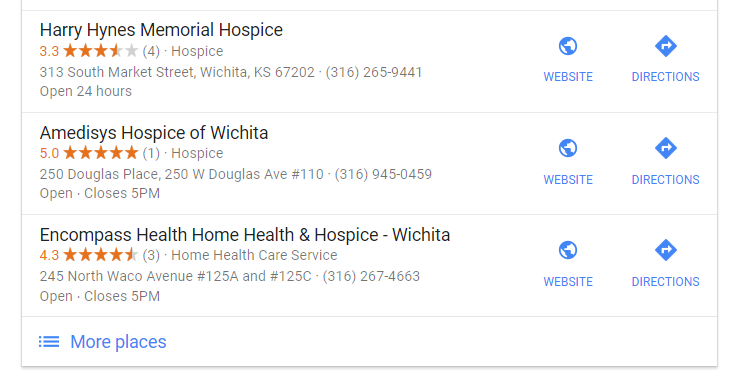 There is not a lot of history about who started the business or when or how it has grown over the years, but your site has 10x more personality than any other hospice website in Wichita! The only real drawback I see is very common with many websites today. The content is really thin. This is an issue because of how Google determines which links show up high in searches. 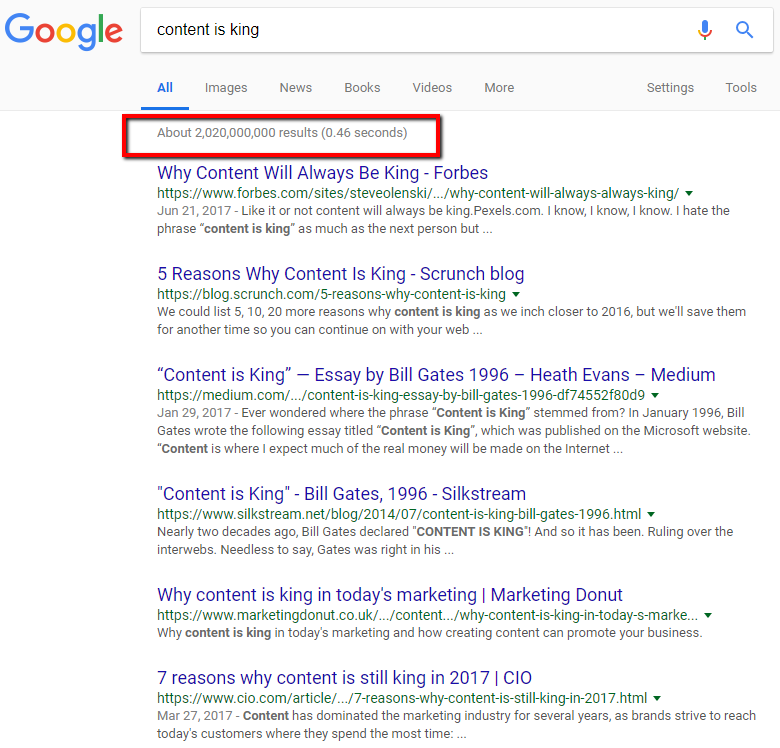 Google is VERY good at returning the BEST possible results based on the keywords that a person types in. Your website’s ‘job’ is to help Google see that Progressive is the BEST possible result and deserves to be #1. A lot goes into that, and most of the factors are touched on in this guide, but at the end of the day the CONTENT, the text, the words on the different pages need to carry most of that weight. And on that one page, this is how much of its about Hospice. The rest of the page includes related content, but not specifically supporting the same subject. 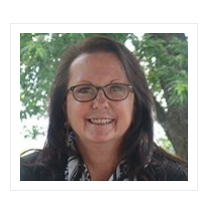 Grief support, pain and system management, equipment, supplies & oxygen, medications. While these topics are related, they could be considered separate services you offer. 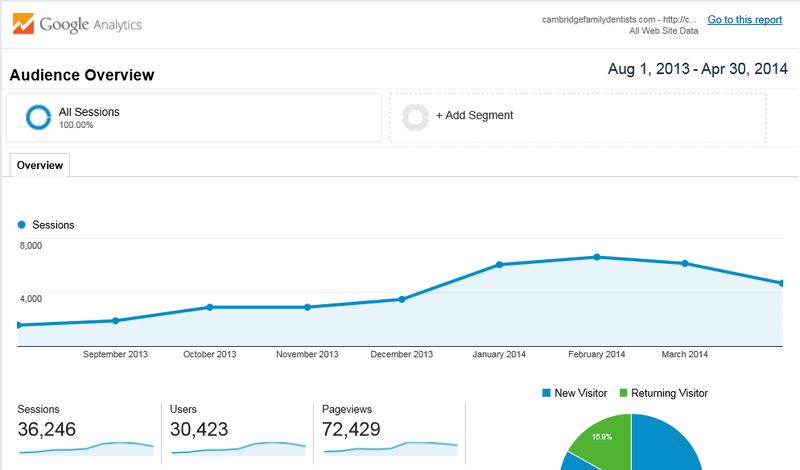 We have had massive success helping Cambridge Family Dentistry with their content. Granted this isn’t realistic for every industry but in the instance of Dental Implants, you have a costly purchase that has a lot of emotion (and worry) attached to it, so people very often do a good bit of research before deciding. – What is the recovery time? – How much does it cost? – How long does it take? – Do I need a ride home? We worked with them to answer these and a LOT of other questions! This was also part of how we were able to take them from 2,000 to over 7,000 visitors a month! Currently, your site speed needs a little work but isn’t a serious issue. 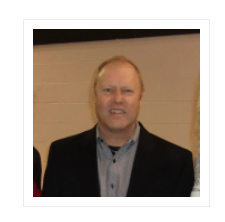 Without a doubt, the area that Progressive is head and shoulders above EVERY other hospice facility in Wichita is your photos (of real people)  and the video on your About page! Your “About” page is INCREDIBLY important, not only to Google but also to your potential customers. 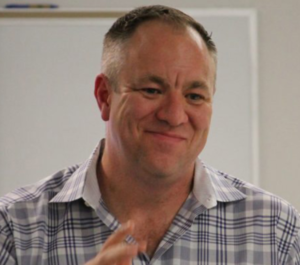 What goes on behind the scenes, and what makes your team or company great. Your personality. Your commitment to excellence or your community involvement—the “heart” of what makes your business great. I struck out to find several REALLY good examples of hospice facilities showing their team, a positive culture, teamwork, spirit, and pride. I was really surprised at how hard I had to look. I came across dozens of hospice websites that were pretty much all cold, impersonal and full of stock photos. 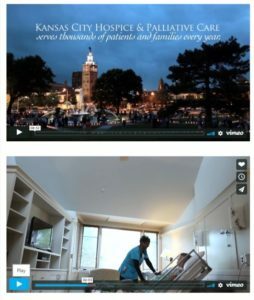 This website is WORKING for them and ranking #1 pretty consistently for hospice in KC! Having your website come up strong in multiple locations can be a tricky process, but it’s very achievable. The key is making it crystal clear that you have a presence in Wichita, Omaha and Newton. We have a couple of clients who we are in the process of helping in this area and so far, the results have been fantastic! If you would like to learn some specific strategies for Progressive to rank well on Google, for ALL your locations, give us a shout today. We would be happy to help! There are OVER 2 BILLION pages dedicated to that subject. 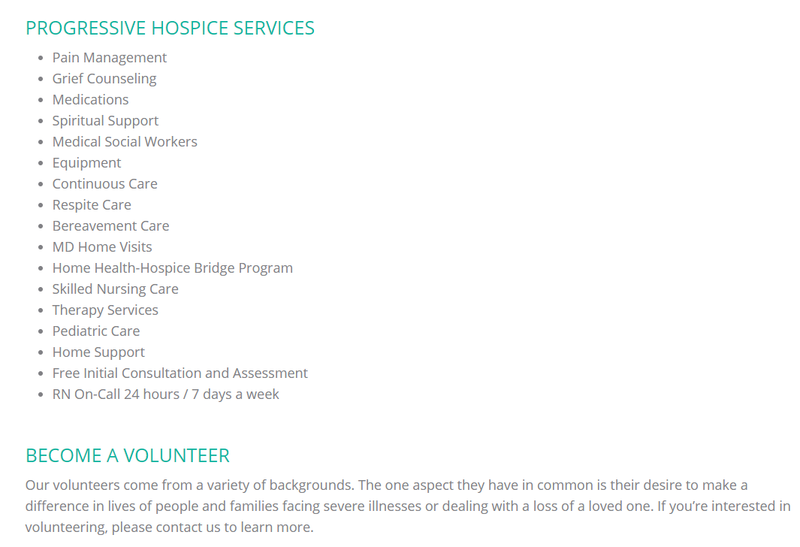 In your case, if you look at the sample list of keywords at the top of this guide, there are a LOT of searches for “the difference between hospice and palliative care.” This is clearly an area of confusion, and that means it’s an opportunity for you! The first hospice facility that creates useful content around this subject will start coming up #1 for this type of search! Let’s say Progressive sponsored an event for Riverfest this coming year. You also donated some money to Thunder Hockey in exchange for a banner and your name being announced between innings, and you also said something great about Matthew (the guy who created this case study). Using a powerful tool called Ahrefs, we can see you how “strong” your domain is, how many links you have, and many other important stats about your online presence. DR is your “domain rating,” or how strong and authoritative the progressivecare.com domain is. A score of 2.5 lets us know that something’s preventing your website from having any trust. This could be toxic links from other websites pointing to your site, or technical issues preventing Google from crawling your site. Backlinks refers to how many times other websites point to the progressivecare.com domain. To summarize, this shows you which company is doing the best in each area. While Serenity is doing the best for Domain Ratings, you have the largest number of websites linking to your site. This is a MASSIVE opportunity for one hospice company, and I guarantee it would pay off BIG TIME. Backlinks are the single MOST powerful ranking factor there is and Nobody in Wichita is doing well in this area! Currently, Progressive has a citation score of 34/100. This is how many citations through the top directories are complete and accurate. Only 10 of the top citations are correct and 5 have errors. 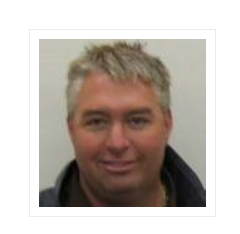 Google profile – Your profile is claimed but there are no real photos. Site speed – This is an issue but not a major one. Reviews – Having 8 reviews on Google isn’t bad, but we would love to show you a few ways to multiply this number. 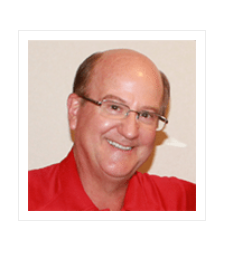 Backlinks – Your backlinks aren’t high, but you have more than most companies! Citations – These build trust and make it easy for Google to see who you are, where you are, what you do and that you are good at it. When your citations show different names, addresses, and/or phone numbers, this hurts that trust. With a score of 34/100 this is a red flag for sure! The potential to increase your online visibility, rankings, website traffic and make your phone ring is tremendous. Search Engine Optimization (SEO) is all about TRUST. 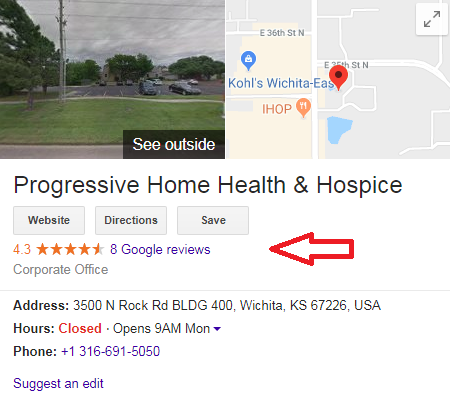 We need to make it easy for Google to see why Progressive is the best hospice facility in all of Kansas! Today, I run an exclusive agency right here in Wichita. I say exclusive because we only work with clients we are a great fit with and we only work with a dozen clients at a time. Our clients aren’t just a number to us. 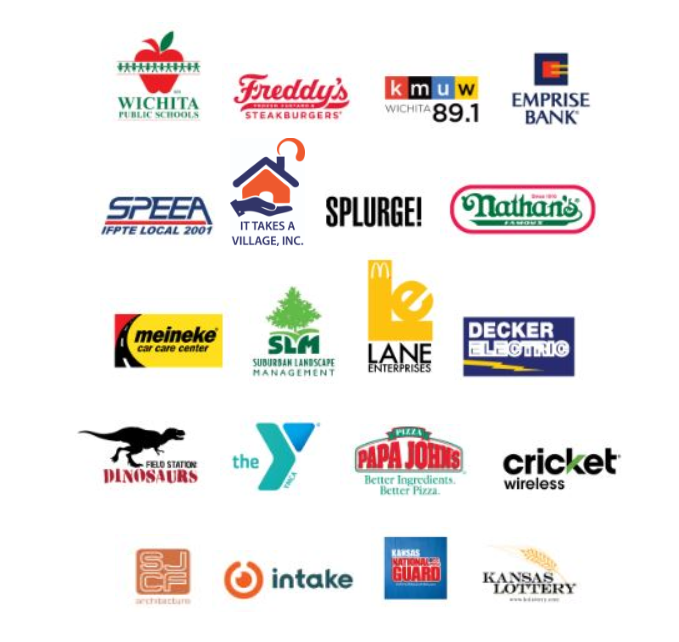 A few of the Wichita companies we’ve worked with include Autocraft, Fenix Heating & Air, Patton Termite & Pest, Cambridge Family Dentistry, Treescapes, Hanna Heating and Cooling, US Logo, Overhead Garage Door, Decker Electric, and Trinity Rental. I get it. You could care less about links, citations, useful content and any of this (none of our clients do). You want the phone to RING. You know the web is important and you need somebody smart, someone who you can trust, to help carry the ball and make things happen. 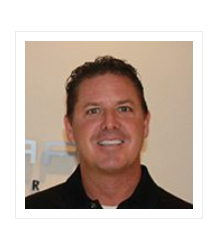 We only work with a dozen clients at a time and are very selective. We don’t do cookie cutter solutions or surface work. We dig deep and make things happen for our clients.